Deep and mellow citrus flavors. Mandarin oranges, and their smaller tangerine cousins, are said to have originated in China. The Chinese know that time alone can tame the bitter taste of citrus peels, and use them in sauces, soups, and various infusions. 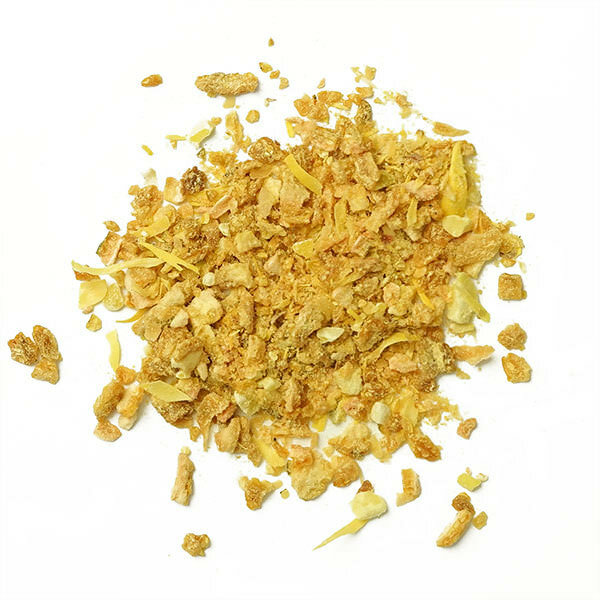 This spice has a mellow flavor and little bite, unlike Japanese chinpi tangerine peels or fresh orange zest. 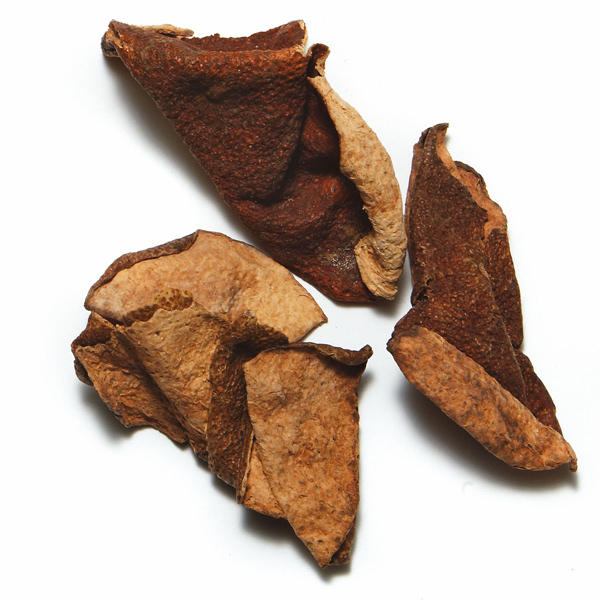 Our Chinese Mandarin Peels have been aged for several years. They add a gentle citrus flavor to any dish. Use in stir-fries such as orange beef and Sichuan pork dishes. 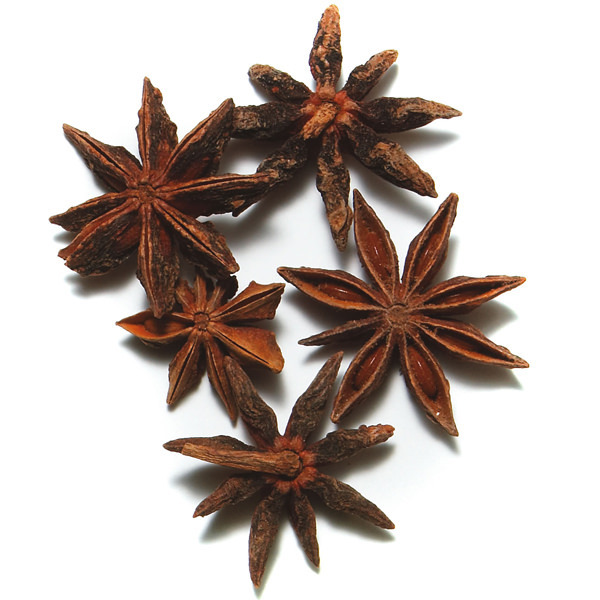 Dried Mandarin Peels pair well with star anise, fennel, chilies, and Chinese Five Spice blend. Use whole for long simmered dishes and stir-fries, or grind with other spices to create original seasonings. 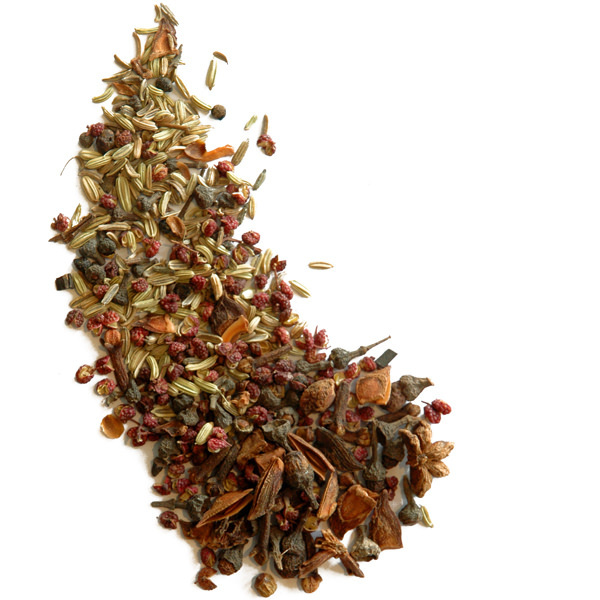 A key ingredient in our very popular Staff BBQ Spice blend.
. Use whole for long simmered dishes and stir-fries, or grind with other spices to create original seasonings. A key ingredient in our very popular Staff BBQ Spice blend.